I don’t remember the first time I went to a Silver Room Block Party, but I remember how it made me feel. Imagine hundreds of Black people drinking in the daytime, walking in the street, and dancing to an array of house music and hip hop. It felt like my favorite memories of homecomings and family reunions. I’m sure to Hyde Park’s gentrifiers and purse-clutching white women, this would be terrifying, and their fingertips would dial 911 at the smell of a wood tip wine Black & Mild. 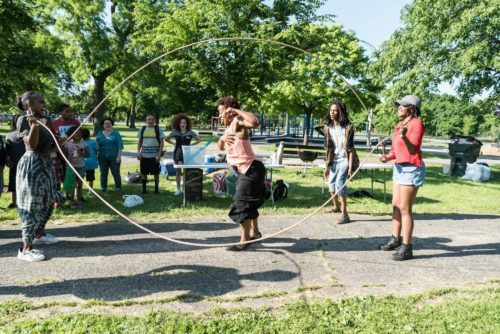 But at the Silver Room Block Party, we get a little taste of what public Black joy looks like outside of our backyard BBQs. We just have a good time.